Clipdonates- Fun Pet Paw Clips That Give Back to Rescues! Clipdonates – Fun, Functional Pet Paw Clips That Give Back to Rescues! 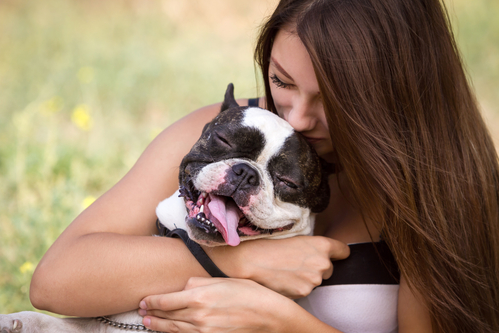 We all love our pets like our children and want them to live in happy homes. While we can’t rescue every dog that needs a home, we find ourselves doing what we can to help. And Clipdonates serves exactly that mission. Clipdonates created unique-looking 3D designed clips in the shape of a paw that are fun, practical AND give back to rescue groups! It’s the new version of the awareness ribbon, made for dog lovers! What a perfect gift for stocking stuffers, Hanukkah or even a secret Santa exchange! Clipdonates are the first clips created from 3D design and printing technology in the shape of a paw. These unique clips can be used in so many different ways: on your handbags, your clothes, your dog’s leash, laptop case, backpack, or anywhere else they fit. Kids love the look of these clips and wear them on their shoes and clothes, school projects, notebooks, and lots of other things! Did we also mention the clips can also be used as a sturdy paperclip that can hold 8-10 pages of paper or even a bag clip for your pet’s dry food? Everyone can use them. Clipdonates is an attention-getting way to get the rescue message out there! The awareness factor of Clipdonates is genius. Everyone notices them. It’s a way to promote rescue and adoption without doing anything but using or wearing them. You can feel great that you are speaking for all dogs in need who can’t speak for themselves. They will get noticed and provoke the question “Where did you get that” or “What is that!” and you can help spread the rescue message. Each time you purchase a package of Clipdonates, 20% of the price will go to a preferred rescue group. When purchasing packages of Clipdonates, you simply put in the donor code of your favorite rescue group at checkout and Clipdonates will send them the money. You can find the different groups and codes under “donees” on the site. If you want to nominate a rescue or other dog rights group, just buy a package and tell Clipdonates the nominee and location and they will set it up! How great is that! Clipdonates come in different colors and amounts! Pet Paw Clipdonates come in packs of 24, 36, & 48 and in pink, green and brown. Every package has all three colors in equal amounts. Every dog lover will enjoy how great they work and the message each pet paw creates. It’s not a shirt, bracelet, or ribbon, but a fun, attractive, clip that can be used for paper, on clothes or wherever you can imagine it fitting. The first supporters that have joined the Clipdonate mission are the following: Star Paws, Wags and Walks, The Tiger Frances Foundation, Best Friends/No Kill LA, 1fur1.org, Friends of Milo, Pugnation of LA, and the Westside German Shepherd Rescue of Los Angeles! The list is growing each week. 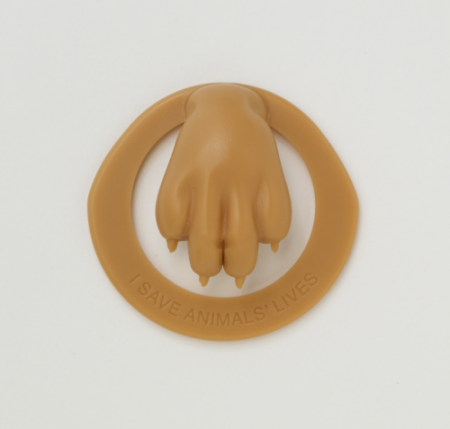 The front side of the clip promotes the message “I Save Animal’s Lives” and who doesn’t love that! Make sure to buy and use these fun paw clips! There are so many reasons to buy these clips from Clipdonates. They are fun, practical, get noticed and are great conversation starters. But, most important, they bring money to rescue groups and raise awareness among the people around you. Go to Clipdonates and buy some for your family, friends, and work colleagues this holiday season. 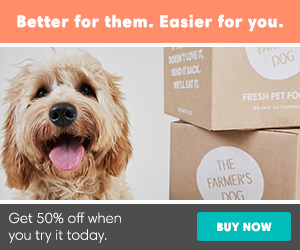 With every package you purchase, Clipdonates will send $3 to $5 to a rescue/adoption or shelter group of your choice! You can use them as a promotional give away by branding the packaging and the back of each clip, too!